The Stranglers will celebrate their ‘Ruby Anniversary’ with an extensive UK tour. From the end of February and throughout March, New Wave icons The Stranglers will undertake a ‘Ruby Anniversary’ tour across the UK consisting of a massive 22 dates. ‘On this, the occasion of our Ruby anniversary, I would like to take this opportunity to stick my fingers up to everyone who wrote us off and dismissed us. However I would like to thank those who saw beyond the words of the critics and drew their own conclusions. He who laughs last laughs longest AND loudest. Next year we will make a lot of noise with our friends…” JJ BURNEL – The Stranglers. One of the great stories from the punk generation, with their own highly original sound that combined a brilliant melodic touch with a genuine dark aggression and an effortless cool. 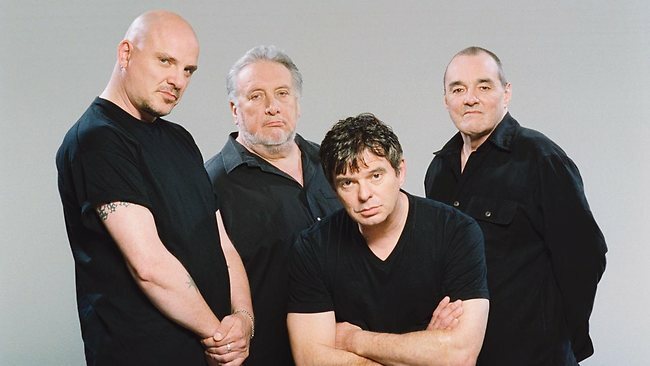 The Stranglers are a pivotal band from those inspirational times and have been acknowledged with their recent BBC Proms appearance at the Royal Albert Hall. Their continued run of album success has marked a long, controversial and pioneering career. The men in black celebrate their 40th anniversary year with a series of UK dates, including a return to Hammersmith Apollo, which they first played in 1976 and last played in 2011. The band intend to feature a selection of material from every studio album of their 40 year career, from their debut album Rattus Norvegicus to their most recent acclaimed album, Giants. Next Post100th Album Release for Cliff Richard!